Urban sustainability initiatives are my passion; and while bicycles lanes, solar panels and urban farming are my favorite blogging topics, a sustainable city also requires eco-entrepreneurs. After all, sustainability is for more than just treehuggers – it’s also about looking good, living well and eating delicious, healthy (eco) food. Enter eco-boutiques for trendy urbanites: a focus on fair-trade, organics and fun/ funky original designs. In Malmö (Sweden) the local authority sponsored an eco/ fair-trade guide to support the city’s eco-boutiques, food stores and restaurants (complete with a map to explore them). Unsurprisingly (and proudly) my home city of Seattle (USA) is also up on the trend. 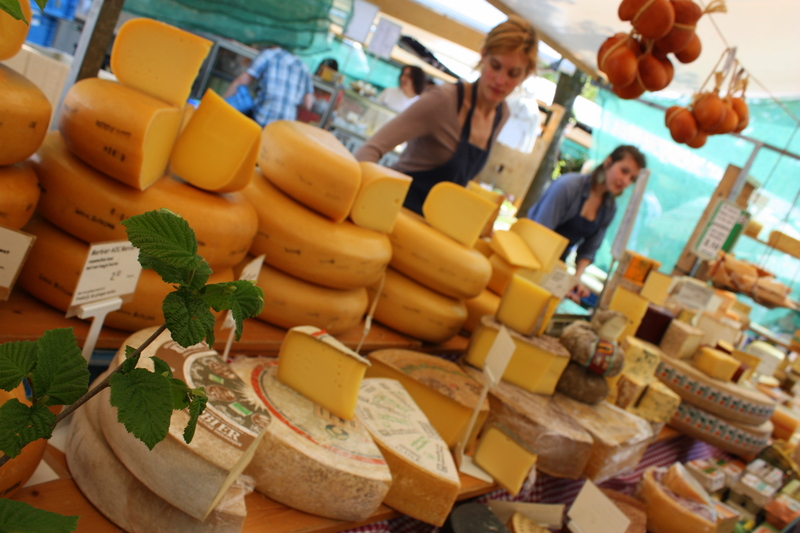 Local cheese, dairy, meats and veggies: yum! 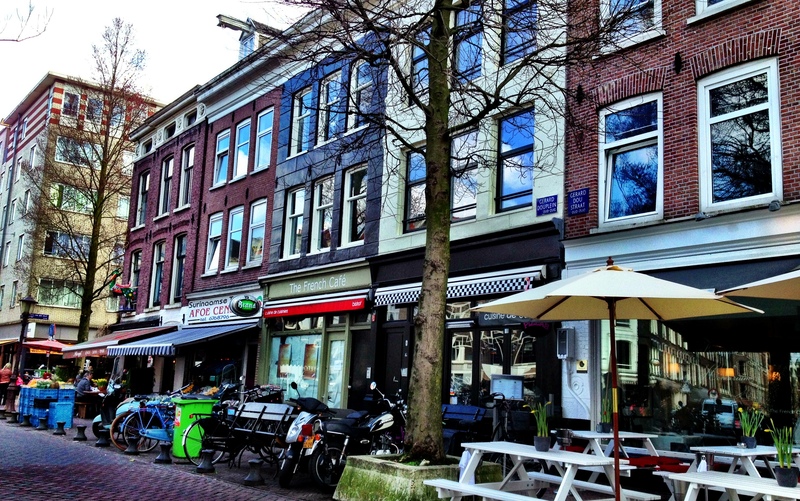 With its narrow canal streets, funky neighborhoods and a focus on cycling & mixed use urban design, Amsterdam is home to 1000s of small shops and specialty stores. (After all, where else can you find a store that only sells buttons or a shop for rejected hotel porcelain?) While not all of these shops focus on organic, recycled or fair-trade living, I have found a few favorites. Noordermarkt is a bi-weekly market local food and artisan market – also featuring great antiques. 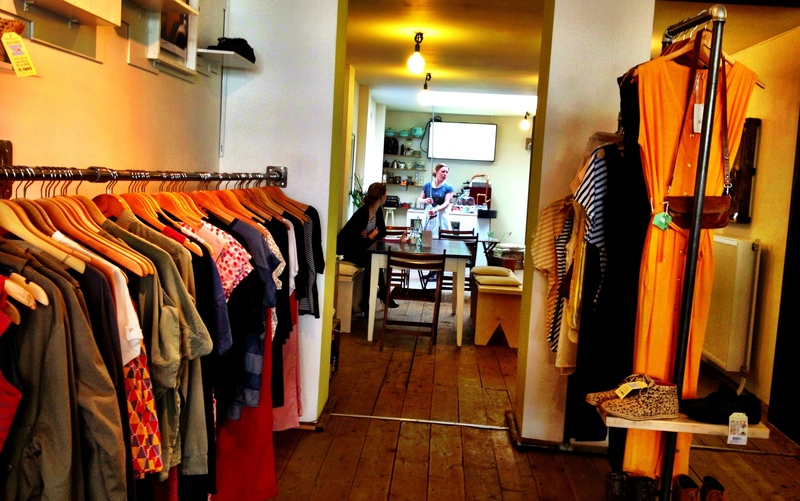 Episode is a funky second-hand/ vintage shop in Amsterdam and Utrecht – they also make their own clothes sometimes from recycled leather or fabrics. My latest find though, is the inspiration for this post…. Found in de Pijp neighborhood and just around the corner from Amsterdam’s famous Albert Cuyp Market is a mixed-use concept store, actually two shops in one. The café, called The Proud Otter, is located in the back and was the reason for our visit: a Saturday afternoon brunch with friends. It’s a bit tricky to find though, because when you walk by it’s not immediately visible. 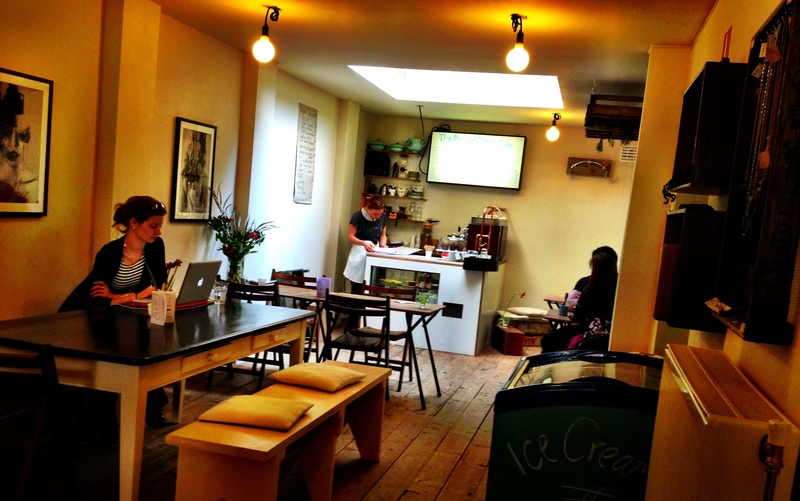 Instead a funky eco/ fair-trade boutique, called Charlie & Mary, is the first thing you see. Both are separately owned and operated, but share the same floor space – and the same focus on organic/ fair-trade (as well as quality) products. 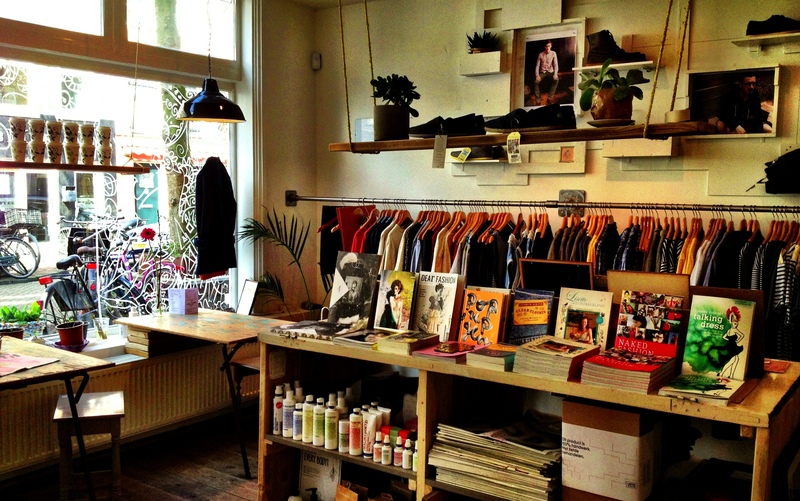 Charlie & Mary: a Fair Concept has been in operation for a few years, owned by two friendly Amsterdamers, Charlotte and Marieke. Opening a few months ago, The Proud Otter is a newer business adventure, but slowly building its own clientele. We found out about it, via Strawberry Earth (a Dutch-based website/ promotion service) which advertises cool eco-events in the city and offers promotions to some of the best eco-restaurants and activities around – their motto is, “Don’t just buy green, buy awesome.” (Their promotions run a bit like Groupon, with a sustainability twist – and I’ve been a lot happier with their recommendations). Brunch was great: healthy, organic & homemade, served on lovely antiqued/ mismatched porcelain. Afterwards, I couldn’t help myself but take a wander through the store (my birthday is coming up, kind of soon). What a smart idea for two-like minded businesses; I had no intention of going shopping, but there it was and I did find a few things I liked! Next time, I may go in to peruse the store and stay for a cup of coffee! I have read several of your articles here. Definitely worth bookmarking for revisiting.